Could North Korea’s nice guy act be a ploy? The sudden reversal of attitude by North Korean dictator Kim Jong Un has been heralded throughout the world as one of the miraculous achievements of Donald Trump’s young presidency, but is there more to that story than meets the eye? Over the course of the last few decades, North Korea has been viewed as one of the world’s strangest and least desirable nations to reside in. The totality of the DPRK’s isolationism has had an incredibly detrimental effect on many industries within the tiny nation, most notably the medical fields and the food production industry. As recently as the mid-1990’s, millions of North Koreans were perishing simply due to famine – a scourge that is nearly impossible to maintain in this modern age of connectivity. As the nation poured millions into their nuclear program, their citizens were being arrested for harvesting grass from public parks to feed their families. This had raised many concerns over the true scope of North Korea’s nuclear program, and just how safe the entire debacle could be. When you throw more than a few failed missile tests on top of this, you come away with the impression of a bumbling, poverty-stricken country whose entire output is being commandeered in order to nuke their way into the headlines. Now, after a previously reported collapse at their main nuclear testing facility, new data seems to indicate that North Korea may be dealing with a much larger issue than a simple structural loss. The DPRK could very well be in the midst of a full-blown, secret nuclear disaster. It also caused parts of the overlying mountain peak to sink by half a metre and shift about 3.5 metres south. Now, some are growing concerned that this destructive incident could be far more detrimental than the tiny nation is letting on. 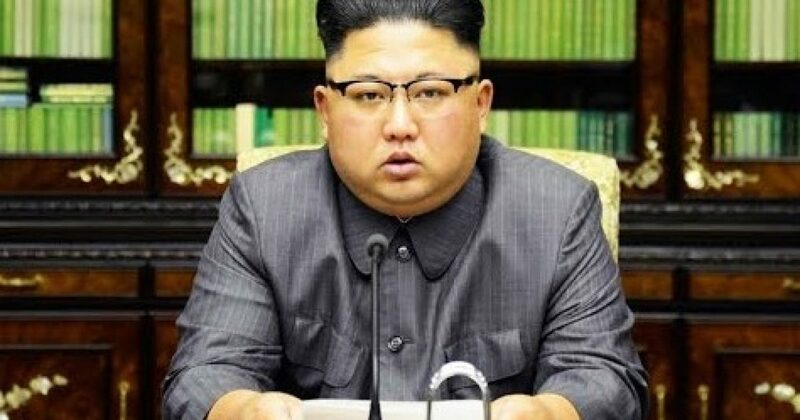 Some users on Reddit have even suggested that, given the sudden change of heart of Kim Jong Un, along with his bizarre haste to reunify the Korean Peninsula, that the dictator either scared himself straight with an accidentally “too powerful” explosion at the test site, or that perhaps Kim has grown paranoid that the U.S. may have interfered at the site, either by cyber warfare or more conventional means. In either case, Kim could simply require the help of advanced nations in the cleanup of this mess, given North Korea’s severe lack of technological prowess. Now, to save his nation, Kim is tucking his tail and running into the awaiting arms of President Trump and his South Korea counterparts.